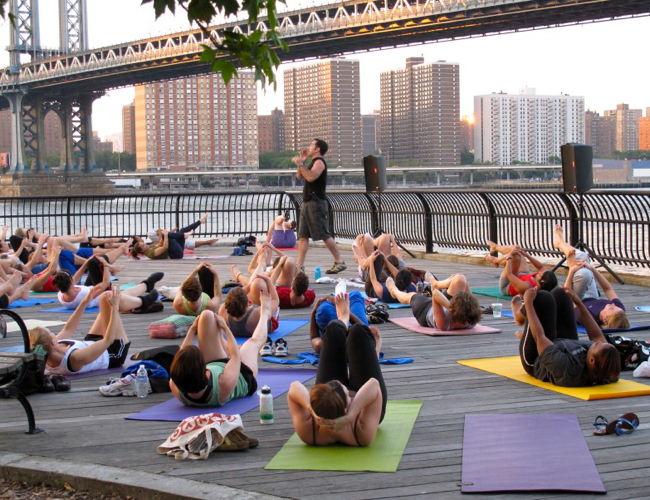 Every Tuesday at 7PM, you can take a free Pilates class overlooking the New York Harbor on the Empire Fulton Ferry Lawn. Registration opens at 6:30PM. In the case of rain, classes are held in the white tent located at 215 Water Street in Dumbo.